12 COLOR ILLUSTRATED ADVERTISING CARDS; Earl Moran and Gillette Elvgren. 12 Large Cards, Some with Calendars, 1949. 1949 COLOR ILLUSTRATED ADVERTISING CARDS; Earl Moran and Gillette Elvgren. 12 Large Cards, Some with Calendars, 1949. (NEESCO and I. Young & Co.) All in VG+ to Fine condition, the illustration takes up about 1/3rd of the cards area. Beautiful 'Cheesecake' illustrations from the late 1940's with 9 atributed to E. Moran and 2 to Elvgren, Photos available. . Bagged & Boarded for Posterity. The Make-Believe World of Maxfield Parrish and Sue Lewin. First Edition, 1997, Signed and Dated By the Author. Ten Speed Press, 1997 Signed and Dated By the Author: "Mas Hands" June 9, 1999. About fine with mild edge wear. We also have the companion book: Parrish and Photography, 1998 by A. Gilbert. The Make-Believe World of Maxfield Parrish and Sue Lewin. . By Author. Bagged for Posterity. Parrish and Photography. First Edition, Alma Gilbert, Inc., 1998. Alma Gilbert, Inc., 1998 Abouit 'As New' with 84 ages, color and B&W illustrated. 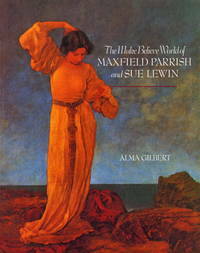 We also have the companion book: The Make-Believe World of Maxfield Parrish and Sue Lewin (Signed) 1997 by A. Gilbert. . About Fine. Bagged for Preservation. 11 all color illustrations with text descriptions and history of 'Blast' magazine. Scarce.. Spiral-Bound Steel Coil . About Fine. Illus. by Percy Wyndham Lewis, David Bromburg, et. al). Bagged for Preservation. 1930 The Pencil Points Press, New York N.Y., 1930. Hard Cover. Condition: Very Good. Ex-library book with usual markings and stamps 431 pages. A nice looking example.Tape along small section of lower spine. Loose hinge between illustration and title page. text is clean. Size: 4to - over 9¾" - 12" tall. Ex-Library.. Hood Museum of Art,Dartmouth College,U.S., United States, 2014. Paperback. Condition: As New. 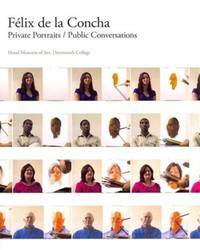 In 2009, artist Felix de la Concha undertook fifty individual two-hour sessions with faculty, students, and staff at Dartmouth College as well as members of the local community of New Hampshire and Vermont, in which he painted a complete portrait in oils while interviewing the sitter on video on the theme of "conflict and reconciliation." . NY: Gray Litho Company, NY, 1890 Nicely framed in period frame, likely an original frame from that era with 2 artists bds and rusty square brads holding them in place. Lithograph is in near fine condition with a small moisture stain along the left edge of the margin, well away from the image. Image is 19.5" x 12.5", Plate measures 14.375" x 21.25". HB Brown did just 2 of these type views for the Maine Central RR, this one and a Photogravure entitled 'The Heart of the Notch White Mountains New Hampshire' (1890), which we also have in our collection from another estate purchase last year. Both are wonderful examples and possibly the last 2 Art pieces H. B. Brown produced in the US before moving back to the UK to live out his golden years in the care of his loving daughter. . First (Only) Edition. A limited edition of 200 copies, this is an unnumbered example in fine condition with many pen/ink illustrations (22) as well as a large 2-page map of city streets. Friends of the Library, Fairleigh Dickinson University; Limited Facsimile edition (1987) The rercipient was later married to the author and connected to this library. . Bagged for Preservation. Boston Athenaeum Library, 1987 About Fine/About Fine. Mary G. L. Hood and Philadelphia Modernism 2011. Woodwere Art Museum , 2011 Woodwere Art Museum all color catalog. Lovely and inspiring modernist painting in brilliant colors! Scarce. . About Fine. Bagged for Posterity. The New York Times: First Reproduction of "Joan of Arc" By Bontet De Monvel. Christmas Number Part 1, Sunday Decamber 6th, 1914. 6 panels of the Senator William A. Clark collection. A large full-page color litho measuring 16" x 22 1/2". + 7 more full pages of color illustration reproductions. Folded twice with a small chip in the lower left-hand corner, not affecting or the art. These are the 6 panels of the 'so called' Senator William A. Clark collection. ( TODAY'S CHRISTMAS EDITION OF THE NEW YORK TIMES IS THE FINEST EVER ISSUED BY A NEWSPAPER; Color Section Containing Reproductions of Boutet de Monvel's Joan of Arc Paintings an Unparalleled Achievement ;- Together with the Rotogravure and Halftone Sections, the Special Articles and Other Features, It Marks New Era in Journalism. DEC. 6, 1914 ) .... *net. Very Good. Illus. by Bontet De Monvel. Karl Drerup (1904-2000). Enchanted Garden: Enamels by an American Master. 2007. Karl Drerup Art Gallery Enchanted Garden: Enamels by an American Master adIn 2007, exhibition curator Jane Port brought to life Karl Drerup, a leading mid-century craftsperson. His jewel-like pictorial enamels on metal drew a national audience during the mid-20th century, and merit a fresh look today in a comprehensive retrospective of his life and work. 40 beautifully color illustrated pages. Fascinating work. . About Fine. Bagged & Boarded for Posterity. 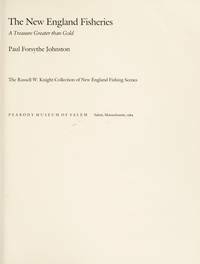 Peabody Essex Museum, 1984 Well illustrated, some in colors. . About Fine. Bagged for Posterity. The Lynn Beach Painters: Art along the North Shore, 1880-1920. First Printing, 1998. By Howlett, D. Roger. Lynn Historical Society. Lynn, MA: Lynn Historical Society, 1998., 1998. Paperback edition. 92 pages. H 21cm x L 27.75cm. Stiff paper covers, about fine. Foreword by Heather Johnson Reid; Introduction by Kenneth C. Turino; color and b/w illustrations throughout; section of artist biographies by Heather Johnson Reid; checklist of paintings; Bibliography; Index. Four chapters titled as "Early Painting on the Lynn Shore (1850-1881)," "The Development of the Lynn Beach Painters (1882-1890)," "Maturity of the Lynn Beach Painters (1890-1900)," and "An End of an Era: the Last of the Lynn Beach Painters (1900-1930)." Published to accompany an exhibition held at the Lynn Historical Society Museum, Lynn, Massachusetts from November 19, 1998 to April 16, 1999 and at the Heritage Plantation, Sandwich, Massachusetts from May 17 to October 23, 1999.. Bagged for Preservation. Galerie Jeannine Blais, 2002 Publisher: Galerie Jeannine Blais, 2002 Used - nEAR Fine. , PB, in French/English dual language edition, Art. Includes the artists bookmark. .
Bulfinch Press,U.S., E-02, 1989. Hardcover. Condition: Very Good. Hardcover. 4to. The Art Museum, Princeton University. 1989. 289 pgs. Illustrated with Color / Black and White Plates. First Edition/First Printing. DJ has a small triangular concussion tear to the front foredge, repaired. Unclipped at publishers price $60. 289 pages innustrated in color and B&W, including a long 2-page fold-out 'Totemic Sequence'. . Hard Cover. Archival Wrapped DJ. Weatherhill, 1988 Weatherhill, Trumbull, Connecticut, U.S.A., 1988. Hardcover. Condition: As New. Dust Jacket Condition: NF. 1st Edition. 318 color and B&W illustrated pages. Likely the best monograph on this subject. . Archival Wrapped DJ. Sculpture of the exposition palaces and courts; descriptive notes on the art of the statuary at the Panama-Pacific International Exposition, San Francisco. 1915, First Edition. 1915 Nice floral patterned cloth-wrapped binding, owner name (H L Long) to the front fep, 98 pages, 34 tipped-in photo illustrations. First printing, copyright & published by Crocker, 1915. . Bagged for Posterity. I Bronzi Di Riace - Restauro Come Conoscenza . (The Riace Bronzes - Restoration as Knowledge ) First Edition, Slipcase, 1993. Italy: Finmeccanica , 1858 Very uncommon. 124 pages of which approximately 80 are photo illustrations. Text in 2 sections, Italian in the front and English the rear. Bound in paper covered illustrated boards, inserted in a stiff card slipcase. A very limited edition published October, 1993. . Hard Cover. About Fine/Near Fine. Folio - 12 " Tall. Metsovo: Evangelos Averoff-tossizza Foundation , 1991 197 pages printed and illustrated mostly in color. A limited edition catalog that was sold through just one outlet: Estia Bookstore Athens, Greece. Text in English. . Limited. Hard Cover. About Fine/Near Fine. Illus. by Averoff. 4to. Archival Wrapped DJ.